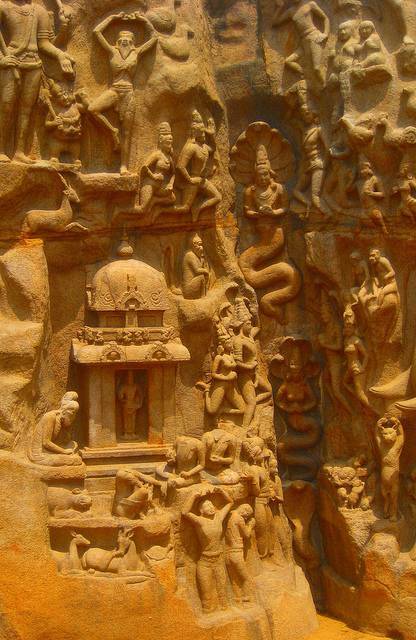 The Descent of the Ganges in Mahabalipuram is quite a feat. Descent of the Ganges is a story carved into two giant monolithic rock boulders. Carved in pictures, is The Descent of the Ganges. This legend explains how the Ganges came down to earth. The rocks contain fantastic detail of elephants, gods and humans.